Rule "Fusion Active Template Library (ATL)" failed. A computer restart is required because of broken fusion ATL. You must restart your computer before you continue. Thx man. it did work! it helped me too. there were bad advise on web about it. Am getting the same error while intalling sql server 2012 .Can any please advice me to recover from this error.It would be more helpful. 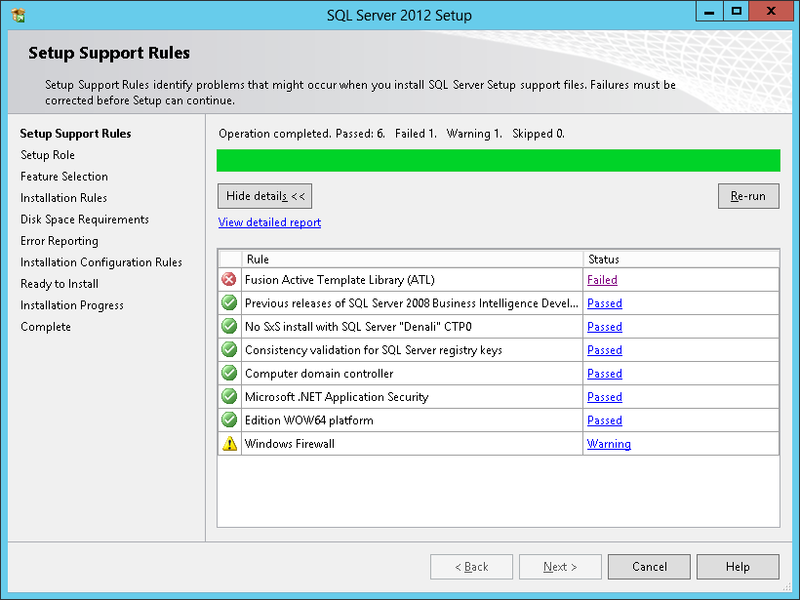 Am getting the same pblm during installation of sql server. Please help me to recover from this error. This works terrific - thanks! Thanks a million- all wrong thoughts on the internet about this. Thanks a Million, wrong thoughs about this issue on the internet. This solved my problem! Thank you!